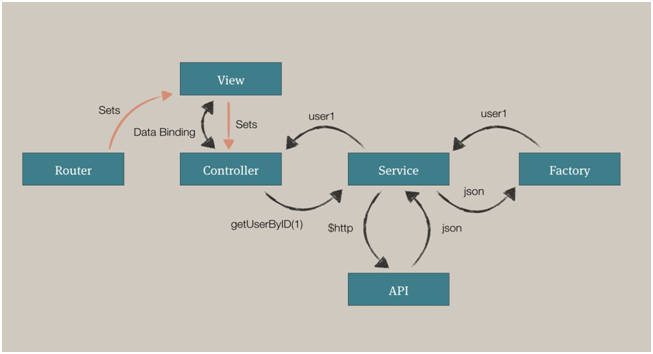 AngularJS provide many inbuilt services such as $http, $route, $window, $location and so on. Each service is responsible for a specific task, such as $http, is utilized to create an Ajax call to get the server data. Using factory method, we can first create a factory and then declare method to it. 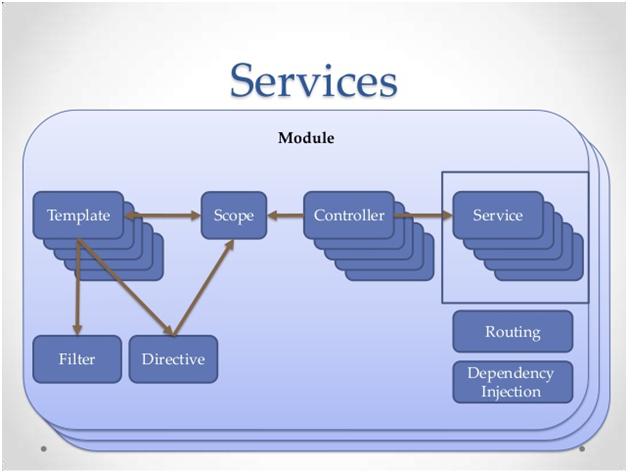 Using the service method, we create a service and then declare method to it. We have also injected an already applicable service to it. This example will showcase all the above defined directives. Application developers are free to declare their own services by registering the service’s name and the service factory function with an Angular module. Service factory functions create the single object or function that represents the service to the application. The Object and the function returned by the service are injected into any component that specifies a dependency on the service. AngularJS internal service provides many services that we can use in our application &http is one example. All AngularJS internal services begin with $ sign. Following are some other services like, $window, $location $route etc. Both the methods of defining a service, function or object are valid. We will see the small difference between the factory () and service () method. For now just keep in mind that both these APIs provide a singleton service object that can be use used any controller, filter, and directive etc. AngularJS provides out of the box support for dependency management. Dependency injection is a software design pattern that provides the removal of hard-coded dependencies and it’s important to modify them, whether at run time or compile time.